The theme for this year’s address was “Building a Better Community”. 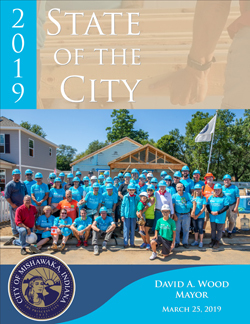 Mayor Wood reviewed the year of 2018 and provided highlights of what the future holds for the Princess City. Several City of Mishawaka employees were honored for their outstanding service in saving lives by going above and beyond their routine duties. The full address including the departmental reports is available on the City website.